He is TOO adorable. What a great FBF! This was taken way back in Dec. 2012 when Rob was filming the Dior commercial in NYC. If you missed some of the other lucky fans snagging a pic with Rob, click HERE and HERE to see a few. It's so funny...back then, we still didn't have official confirmation DiorRob was real. But we believed. Oh we believed. Source | Thanks Nancy for the tip! 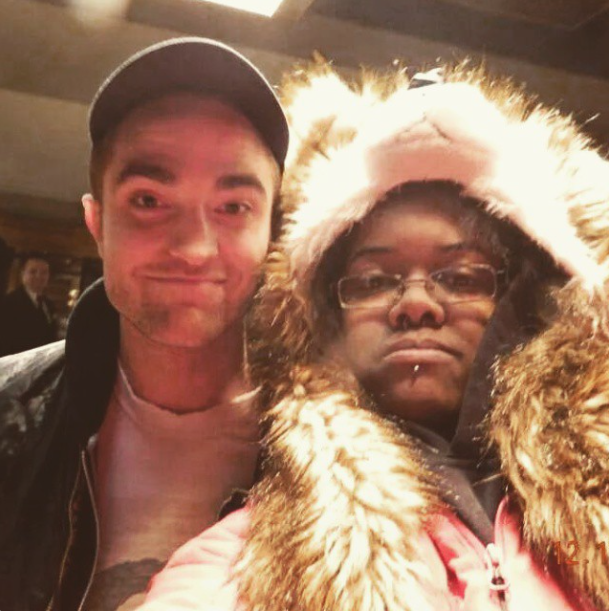 Labels: DiorRob, How cute is Rob, lucky fans doesnt cut it, New York, New/Old Fanpics, Rob in NYC, Robert Pattinson, why so cute Rob?